In May, inventive Finnish yacht builder Nautor’s Swan announced the Germán Frers–designed Swan 98 high-performance sailing yacht, a versatile addition to its growing Maxi Swan line. 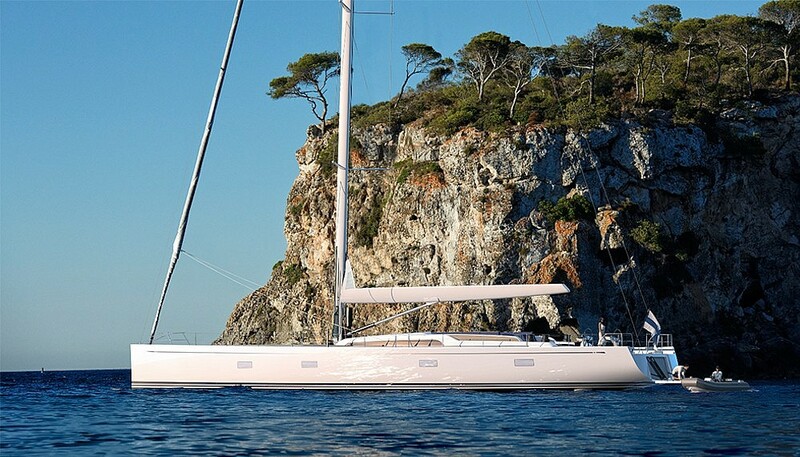 “[The Swan 98] is the first new Maxi Swan in front of larger Swan yachts which will follow in the next 12 months. We are particularly proud of the fact that we managed to create two different layouts with four staterooms and en suite bathrooms at a length of just under 30 meters [98 feet]," says Peter Naeyé, project line leader of the Maxi Swan group. 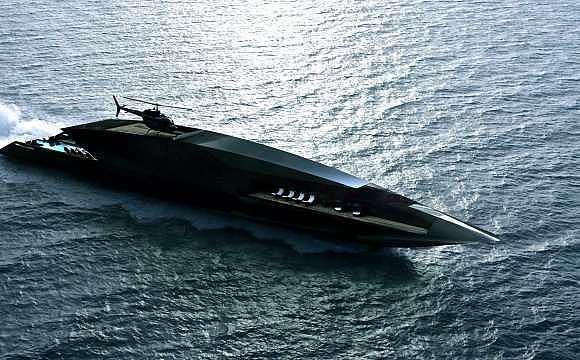 Maxi Swan yachts are the Swan yachts larger than 85 feet, according to Naeyé. Choose a forward or full-beam aft location for the owner’s suite. 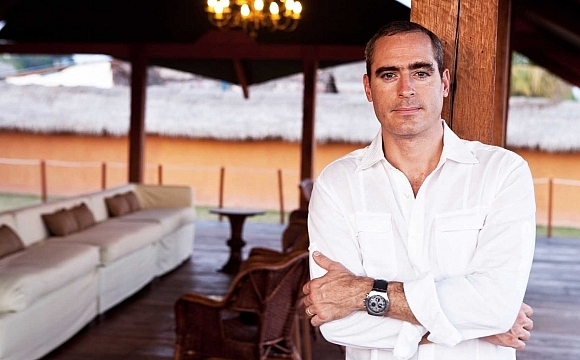 Three additional en suite cabins for guests and two for crew provide more than sufficient room for your entourage. 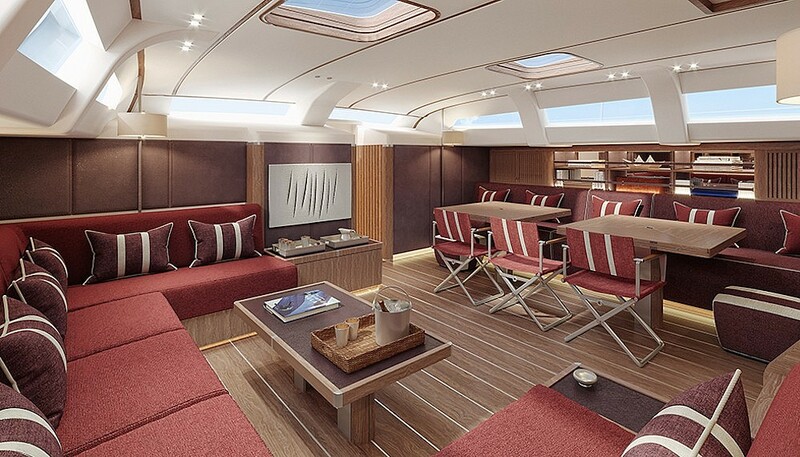 The saloon and dining area sit in the middle, with the coach roof above providing natural light. 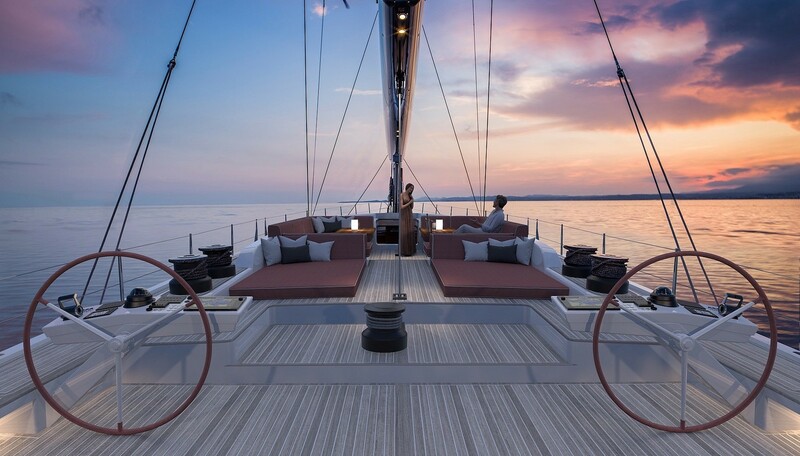 What will most likely become the favorite spot on board, the 98’s multipurpose deck makes for a great hangout and sunning area, while at the same time has optimal space for sail handling. 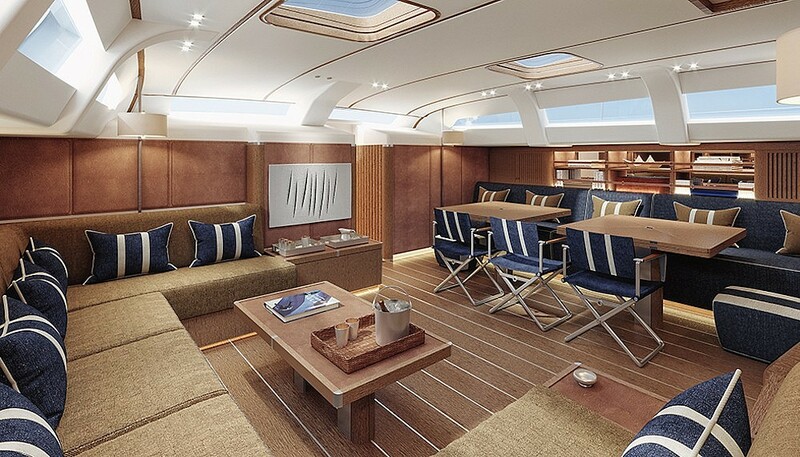 Besides the open foredeck, there’s a cockpit tucked just behind the coachroof that offers up padded lounging space, whether at anchor or at sea. The lines steer clear of the area while under sail, and a retractable sprayhood shelters guests from the elements. This area also transforms into a dining area with the ultimate view. An optional bimini provides shade. 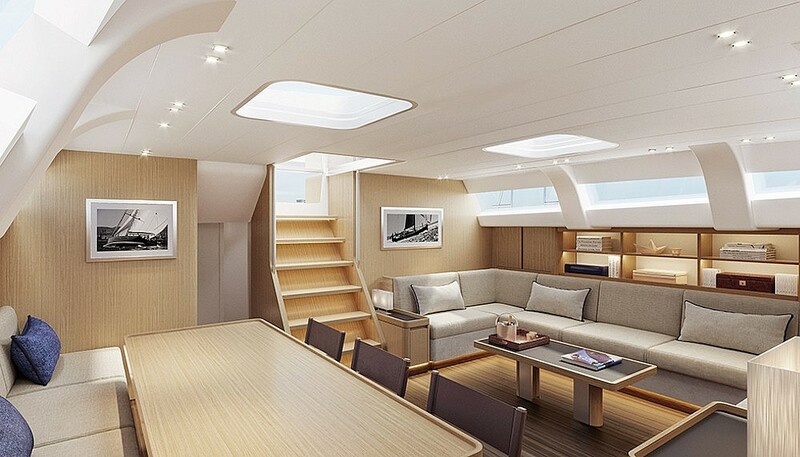 Farther aft, the transom folds down to become a teak-decked swim platform with access to the tender garage. Nautor’s Swan gave this new beauty a gently sweeping sheerline, clean foredeck, a sporty low-profile coachroof and a flared stern. The yacht’s two rudders give the skipper all kinds of control. From the two helmstations, the skipper can manage all the sail handling at the push of a button. 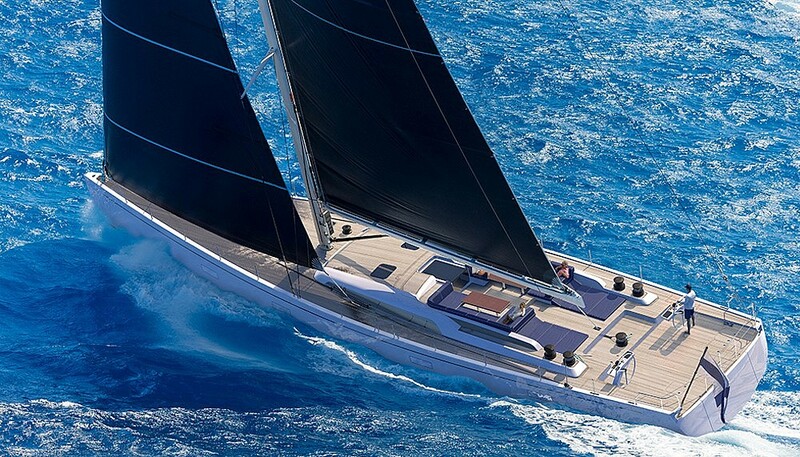 The Swan 98 is a semicustom yacht featuring various options, including a racing package that offers up a square-top mainsail with running backstays and a double-length bowsprit for fast reaching with powerful masthead gennakers. A telescoping keel is another choice that can determine whether or not you drop anchor in that shallow cove in the Bahamas. 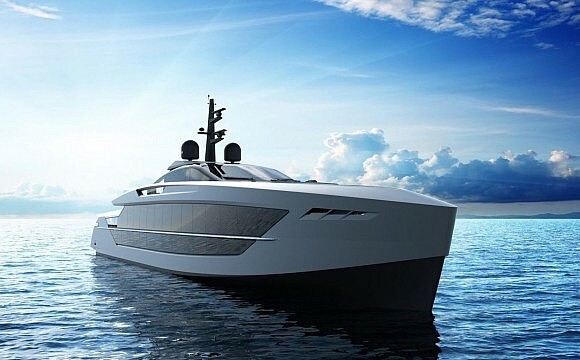 Naeyé reports that the first yacht will be delivered in spring 2020 followed by shorter lead times for the following Swan 98 yachts.